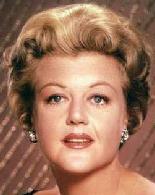 Margaret Wander Bonanno: Angela Lansbury: A Biography. New York: St. Martin's Press, 1987 - 225 S.
Rob Edelman, Audrey E. Kupferberg: Angela Lansbury: A Life on Stage and Screen. New Jersey: Citadel Press, 1999 - 299 S.